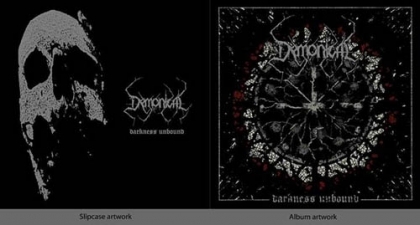 Swedish Death Metal band DEMONICAL announce the new line-up for the upcoming album “Darkness Unbound” and the following tour! The band’s fourth studio album will be released 20th September via Cyclone Empire. The first appearance in Germany with the new line-up will take place at this year’s Party.San festival on 10th August 2013 at 14.30-15.15h. Don’t miss to meet the band at their official signing session at the Rock Hard/Legacy booth (Saturday - 06.30 PM)!